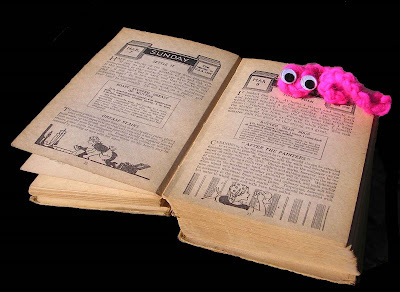 Louise knitted this cheeky little book worm. We wanted to leave it at the library. However when we got to the library, we discovered there were lots of them already. 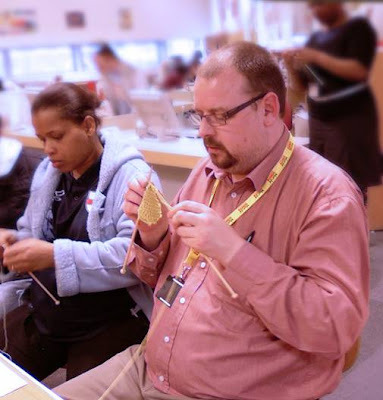 If you get stuck with your knitting, ask your local librarian, they are certain to know what's wrong.